Prior to that he used to teach Political Science in North South University (NSU), Bangladesh. Dr. Hasan has published his research with world's leading academic publishers including Oxford University Press, Sage, Taylor and Francis, Harvard University Asia Center and Wiley. Dr Hasan was widely interviewed and quoted by BBC , MSN, USA; Guardian, UK; Arab News and Saudi Gazette, Saudi Arabia; The Straits Times, Singapore; Asia Times, Thailand; Daily Mail, UK; The Standard Time, Hong Kong; China Post, China; Oman Observer, Oman, Times of India, Dawn, Pakistan and NDTV, India. 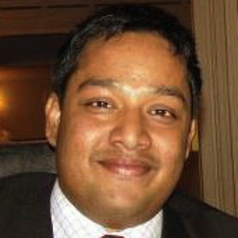 Dr. Hasan is an occasional reviewer of Journal of Asian and African Studies (Sage), Sport in Society (Taylor and Francis), South Asia Research (Sage), Australian Journal of Political Science (Taylor and Francis), Political Psychology (Taylor and Francis), LawAsia (TC Beirne School of Law, The University of Queensland) and the Journal of Politics ( University of Chicago and Southern Political Science Association, USA). He is the founder of www.alochonaa.com, a platform to promote dialogue among civilizations.